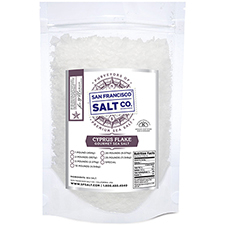 Natural crystal flake sea salt from the Mediterranean Sea surrounding the island of Cyprus! Using a method that can take up to two years from start to finish, Cyprus Flake Salt is created through the process of solar evaporation of sea water where the water is channeled into a chain of shallow ponds or lagoons called "salins" and then into large pans where the water is gradually heated, forming the dazzling pyramid shapes of the salt. 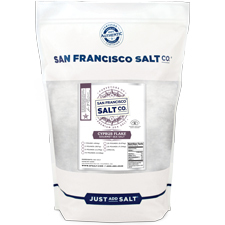 The process continues until the salt reaches 3% humidity. 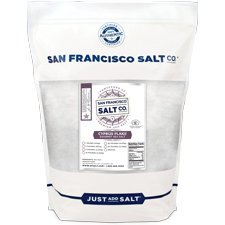 This stunning delicate gourmet flake salt provides a delightful crunch with the mild flavor of Mediterranean Sea Salt!